Ya'll know how I do ... Friday evenings are for cocktails. And this past Friday night I might just have outdone myself! The name of the game this time around was: work with what you've got in the fridge. So I came home from work, took a quick inventory of the refrigerator contents, and then the cocktail lightbulb went off. Ding! Ding! 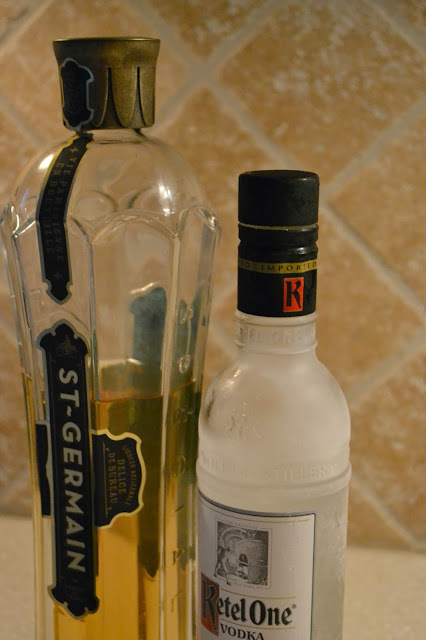 St. Germain is a classically yummy ingredient for me, and vodka will always win out over gin, rum, or bourbon in my book. I am no tough guy so I do like to cut it with a fizzy non-alcoholic mixer (grapefruit Perrier in this case), and some chopped strawberries muddled in the glass added the perfect end-of-summer taste. 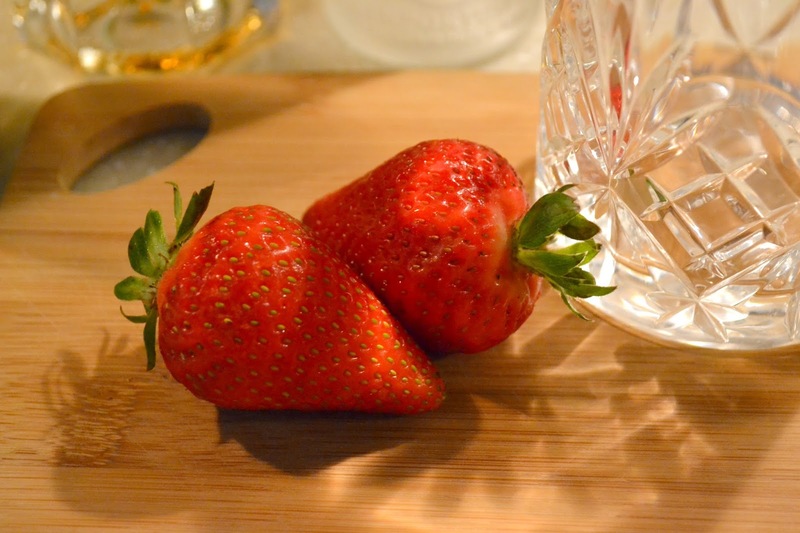 I started off by dicing the strawberries (one per glass) on a cutting board, adding the pieces to a lowball glass, and muddling it gently in the glass. Once well muddled, I added a shot each of the two liquors and then topped off with the grapefruit Perrier up to the rim. 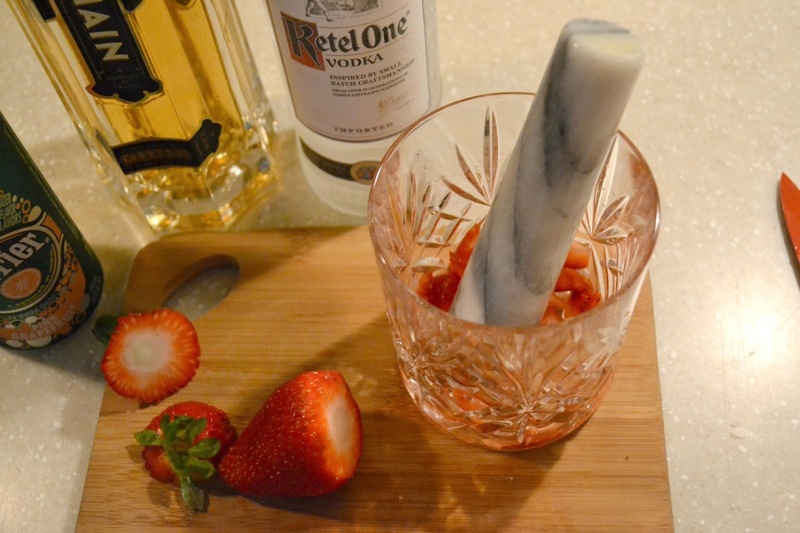 Add a few ice cubes and give it a stir! Um, DELISH. 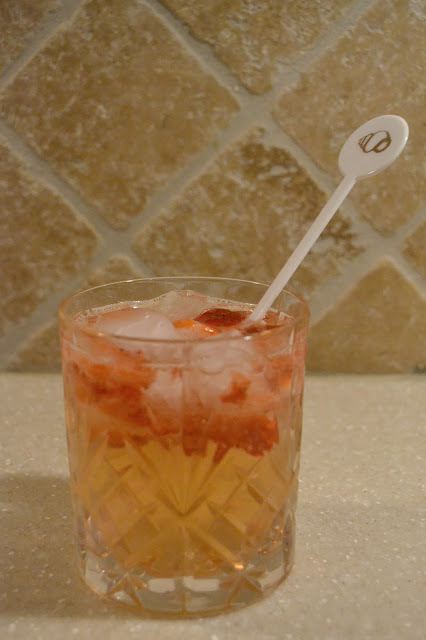 I made one for me, Ian walked in from the garage and I offered him a sip, and he immediately asked me to recreate one for him. It may look a bit girly but it's not sweet enough to scare off a manly man! that look so yummy!!! I'll have to try it this weekend! LOOKS AMAZING!! 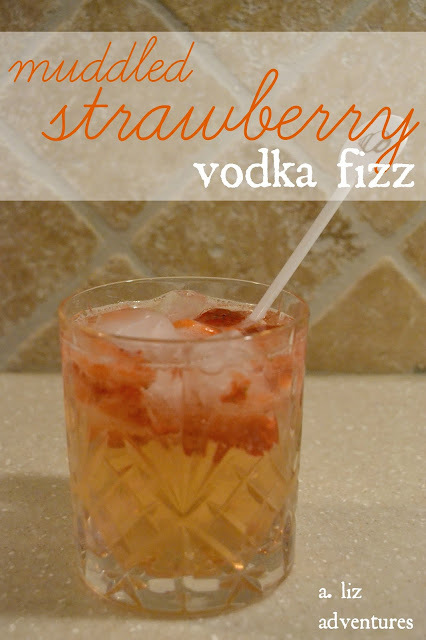 I neeeeed to make this! Oh la la, fancy! I need to get more creative that my usual wine or tanquerey and tonic! I am definitely giving this one a try! Looks delicious!!! YUM! 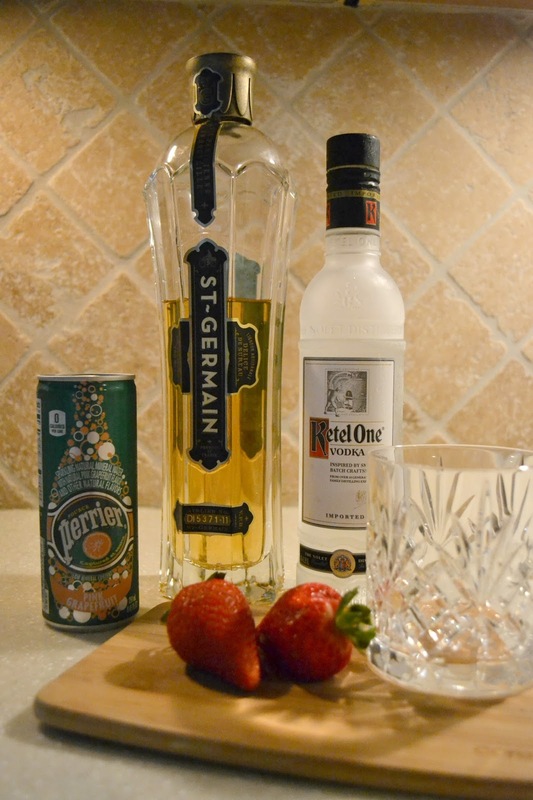 You always share the best sounding cocktails! Must try this one!! Need one now! 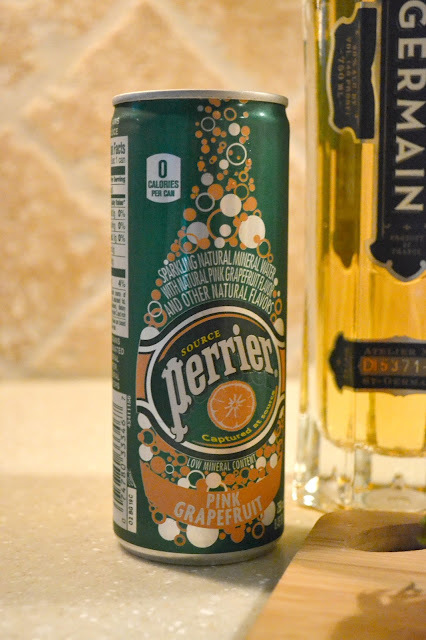 I love that Grapefruit Perrier! 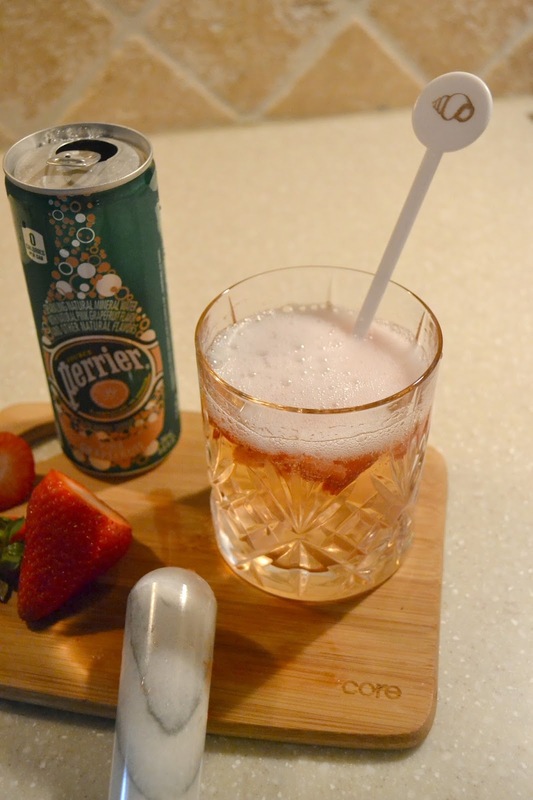 Never would of thought of using it in a drink! Yumm!! Looks so good. I'll have to try to make a virgin version somehow! That looks like a new Friday evening treat. Yumm vodka always wins in my book too! I need to make this! Thanks for the recipe, it's delish added a little basil to top it off! Enjoy the weekend!